The parents of a special needs child are faced with unique estate planning challenges. They must provide for their child without jeopardizing eligibility for means-tested government benefits, such as Supplemental Security Income (SSI) and Medicaid. They must devise ways to supplement government benefits to ensure their child’s quality of life. They must also arrange proper management of the child’s inheritance after they are gone. The Law Offices of Stéfanie Ceto can help you to accomplish all these goals. Traditional estate planning options, such as outright distribution of assets, disinheriting the child, or leaving property to another family member for the child’s benefit, are not effective or recommended. These options can disqualify the child from receiving means-tested government benefits. They can also leave the child without a dependable source of support if their benefits decrease in the future. The recommended option is to create a third party Supplemental Needs Trust, which will not disqualify the child from receiving means-tested government benefits. Under existing law, assets contained in a properly drafted Supplemental Needs Trust are not considered “available” to the special needs child for determining financial eligibility for means-tested government benefits. Also, Medicaid does not need to be repaid from the third-party Supplemental Needs Trust when the child dies, or if the trust terminates during the child’s lifetime. Selection of the Trustee of a Supplemental Needs Trust is crucial because he or she is given complete and broad discretion in making distributions for the child’s benefit. The Trustee should be healthy, honest, and reliable. He or she must understand and respond to the child’s needs and know how trust distributions can affect the child’s government benefits. Communication to other family members is another important consideration, as grandparents and other relatives should not leave an inheritance outright to a special needs child. Assets should be reviewed to ensure that they will not be paid directly to the special needs child. Such assets include distributions from IRA, 401(k), or other retirement benefits; life insurance; any property not subject to the parents’ will or trust; and joint accounts. If a special needs child receives an inheritance, gift, lawsuit award, or settlement, the result can be disqualification of means-tested government benefits. To preserve benefits, the child’s disqualifying assets should be converted into “exempt” or “non-countable” assets, through transfer of the assets to a self-settled, government approved, Supplemental Needs Trust. There are two types of self-settled Supplemental Needs Trusts. The first is an irrevocable trust established under 42 U.S.C. § 1396p(d)(4)(A), commonly referred to as a “(d)(4)(A) Trust” or a “Medicaid payback trust.” By statute, it must contain a Medicaid payback provision on the death of the special needs child. The assets managed under this trust are generally large enough to justify management by a corporate Trustee. The second of these Medicaid payback Trusts are “pooled trust accounts” established under 42 U.S.C.§ 1396p(d)(4)(C), commonly referred to as a “(d)(4)(C) SNT” or a “(d)(4)(C) pooled account trust.” A (d)(4)(C) SNT is administered by a nonprofit charitable association. While disqualifying assets are transferred into the master trust, a separate trust account is maintained for the child’s sole benefit. A (d)(4)(C) pooled account trust is best suited for smaller amounts of non-exempt assets, or when the parents or child want to benefit the mission of the nonprofit association upon the child’s death. 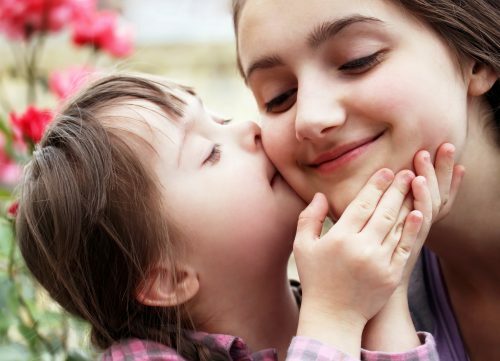 A Health Care Directive should be signed by a special needs child who has reached adulthood. This writing instrument enables parents to receive their child’s confidential medical information, allowing them to ensure the continuation of proper medical care.